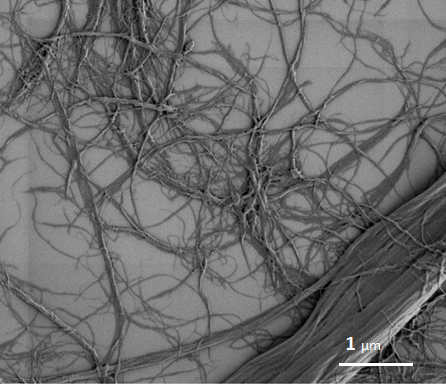 Microfibrillated cellulose, cellulose fibrils or nanocellulose? Is microfibrillated cellulose (MFC) the same as nanocellulose? What is the difference between micro- and nanofibrillated cellulose? What about cellulose nanocrystals and cellulose fibrils? 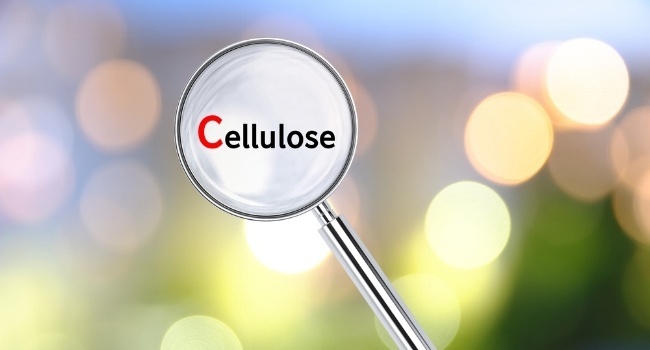 Starting to read about MFC (or nanocellulose) might be confusing since the terms used for nano- and micro-sized cellulosic materials are versatile. Moreover, they are not totally established, so the same material can have different names or the same terms can be used for very different kind of materials. In this post, I will introduce the most common terms and distinguish synonyms from different materials. Microfibrillated cellulose is produced by mechanical treatment with or without enzymatic or chemical pre-treatment. The material consists of long and thin fibers which form a three- dimensional network, and these fibers have crystalline and amorphous regions. MFC has high viscosity and yield stress, it is shear thinning and has high water holding capacity. The size distribution of the fibers is wide, and even if some fibers have diameters in nanoscale, there are a lot of bigger fibers as well. Moreover, the fibers are in a network structure and interconnected to each other. It is also possible to produce similar material as individual fibrils, with nanoscale diameter and narrow size distribution, if special separation methods or chemical treatments are used. For example, Saito, with his co-workers, have treated the raw material with TEMPO (2,2,6,6-tetramethyl piperidine-1-oxyl radical) mediated oxidation before fibrillation step. They were able to produce nano-sized fibrils with narrow size distribution (covered in this article by Saito et al.). In that case, the term nanofibrillated cellulose (NFC) or cellulose nanofibers (CNF) is often used since the material is more in nanoscale than microscale. 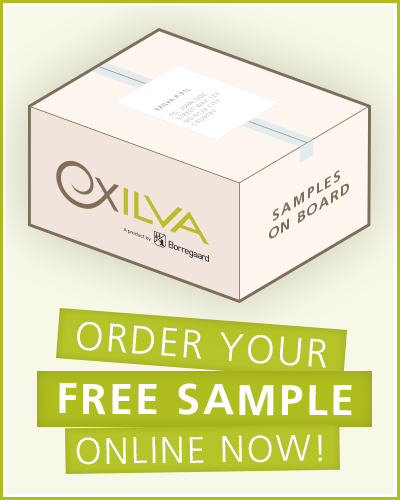 On the Exilva blog, we have chosen to use the term cellulose fibrils for all fibrillated cellulose materials, regardless of the size. To our mind, it is a good, short term which captures the essential properties: they are long, thin, flexible particles. Treating cellulose with sulphuric acid hydrolyzes the amorphous regions. 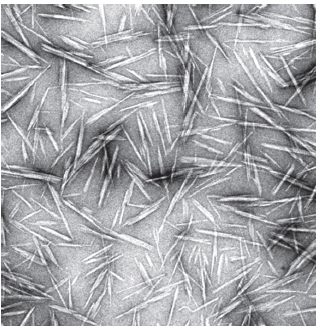 The result is a very highly crystalline material called cellulose nanocrystals (CNC), nanocrystals of cellulose (NCC) or cellulose nanowhiskers (CNW) (Habibi et al. 2010). These fibers are rod-like and stiff. They have a narrow size distribution and are drastically shorter than MFC. CNC has lower viscosity and yield strength than MFC, and it is not as good at holding water. On the other hand, it exhibits self-assembly and birefringence. Sometimes also microcrystalline cellulose (MCC) is regarded as nanocellulose even if it has clearly bigger particle size than CNC. MCC is commonly used in pharmaceutical and food applications. Certain bacteria, for example, Acetobacter xylinum, can produce cellulose fibrils as a very fine network structure outside the cell. It is very pure cellulose with narrow size distribution and high crystallinity. However, producing it on a bigger scale is very challenging. The various products made from cellulose show how exciting this material is. I hope that this blog post clarified the names and terms related to cellulose fibrils and other nanocelluloses. 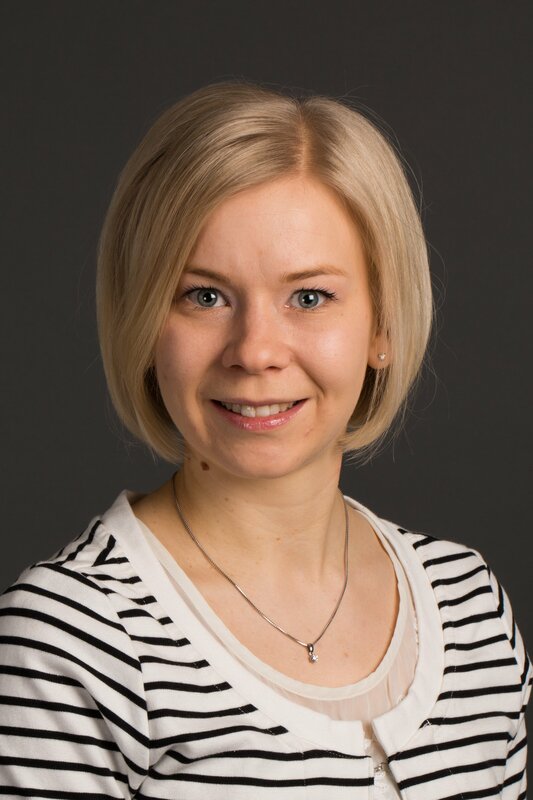 However, it is good to keep in mind that the terminology is not established and different research institutes or companies might have their own names. Editor's note: This post was originally published in June 2016. We've revamped and updated it for accuracy and comprehensiveness.